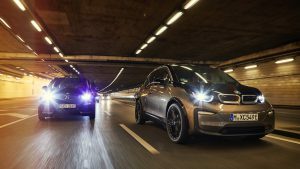 For the Paris auto show, BMW announced battery upgrades for the i3.42 KWH is for future range care up to 310 km WLTP.BMW did not say a word to the scope extender. 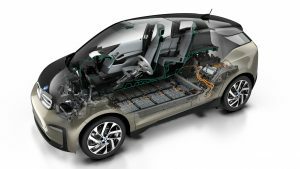 It is already the second battery upgrade for an electric car, which has barely changed since it went on sale in 2013. While the capacity was still 22 KWH in 2013, it increased to 33 KWH in 2016 and is now 42 KWH. Increase by about 30 percent in two years, or nearly double in five years. The size of the battery remains the same. This is supplied by Samsung&apos;s advanced SDI battery, which now provides a capacity of 120 amperes per hour. Each of the eight modules further comprising the battery has twelve cells.